For information on our current classes, and to stay in touch through email and/or social media, please see the links below. 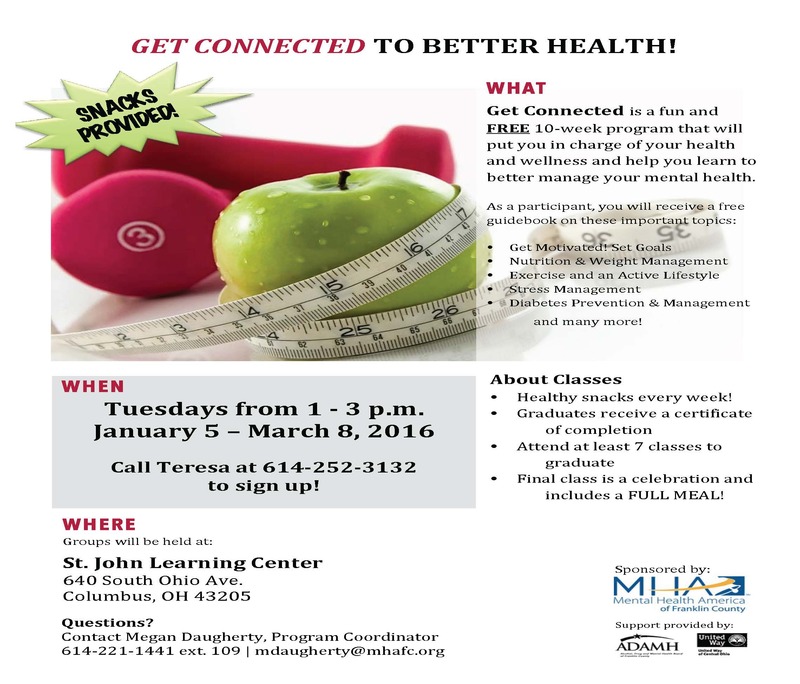 Get Connected to Better Health at St. John Learning Center! Ten week class on Tuesdays from 1 pm to 3 pm, starting on January 5th. 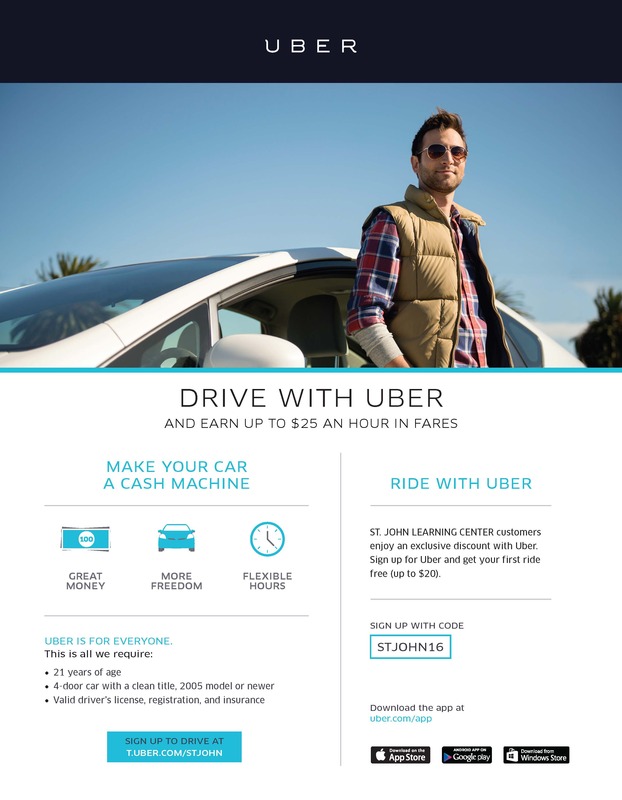 Call (614) 252-3132 to sign up! 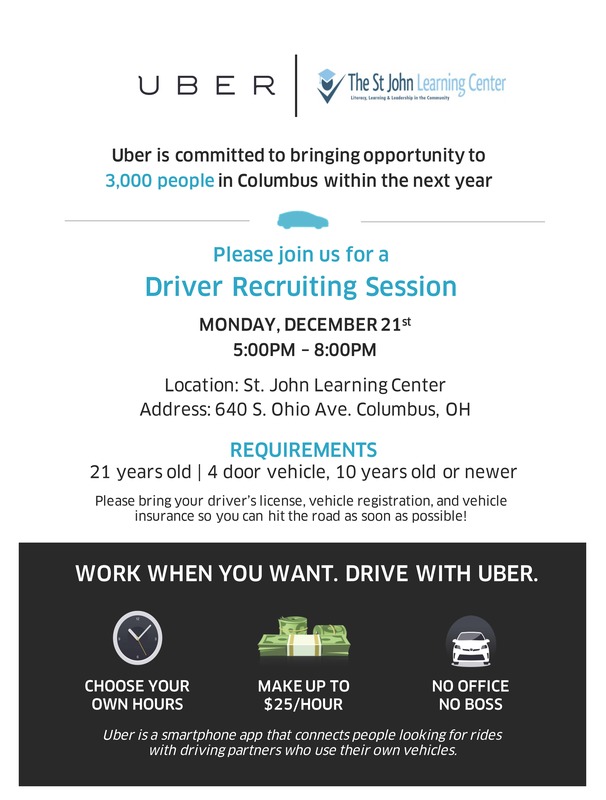 St. John Learning Center is hosting an Uber Driver Recruiting Event on Monday, December 21st from 5:00 to 8:00 pm in the St. John Learning Center, 640 South Ohio Avenue, Columbus, Ohio.